Drop-ins are welcomed. No booking necessary. £5 per class / £25 for 6 classes. 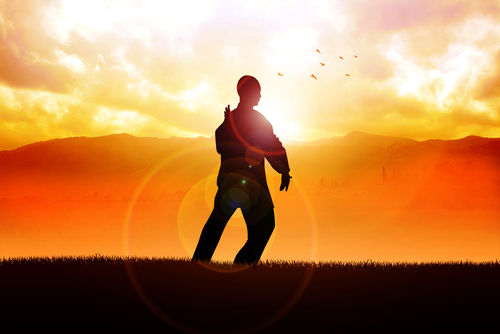 Chi-Gung/ Qigong can relax and energise, give you a sense of your own Life Force flowing freely through the body, and leave you with a sense of well-being and peace. The moves are gentle, can be done standing or sitting with your natural breathing, which can be co-ordinated with the movements. These classes are suitable for all ages and levels of fitness. Practitioners of Chi-Gung often say that Chi-Gung is at the root of Chinese Medicine. The knowledge of points and meridians is said to have been derived from the meditative practice of Chi-Gung. ​the body. For more information please contact the Centre 0131 229 0724. In a calm and relaxed atmosphere practice simple breathing and stretching exercises. Re-energise the body and mind through standing postures and moving to the rhythm of the breath. Spread over two mornings each session will have a different focus, taken from 3 schools of Chi Gung traditions, so they can be taken separately. No previous experience necessary. Peter Browne is an experienced and accredited Chi Gung teacher through the London School of Chi Gung and has been teaching in Edinburgh for years. He now comes up just a few times a year from London to run his popular Chi Gung workshops. £15 for one session or £25 for both sessions. Advanced booking essential. These classes can fill up quickly! Book your place 0131 229 0724 healthylifecentrescotland@gmail.com. Payment required at time of booking.